Google has rolled out an update to its Gmail application for Android platform, adding several new features including pinch-to-zoom and new swipe gestures that allows users easily delete or archive a mail by simply swiping left or right. Several features that have been introduced in this latest updated are the ones that have been long yearned by Android users. Apart from the pinch-to-zoom and new swipe gestures, Google has introduced a new ability to “auto-fit” a message to your device's screen. The update also brings in a new thumbnail view for attached images and videos. 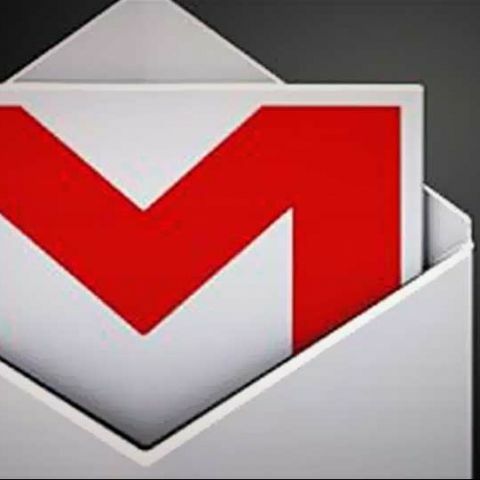 To start using the updated Gmail app, users need to make some of the settings enabled. You can customise the new swipe gestures. 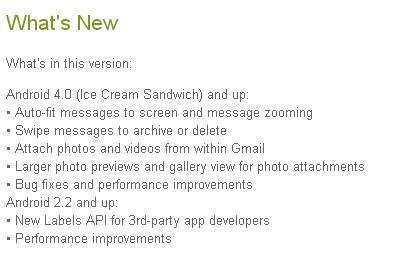 The updated Gmail for Android app is only available for smartphones running Android 4.0 Ice Cream Sandwich operating system or higher. It's notable the latest Android v4.2 Jelly Bean brings in improved Gmail app. However, the update ensures users having the older version of Jelly Bean, or even Ice Cream Sandwich, can now take advantage of the new features. To download the latest Gmail for Android app here.